Mr. Miguel was very fair when I first talked to him about replacing my roof he gave me all the details covering everything that’s included. RICKY W.
Mr. Miguel ***** cleaned a section of second storey gutter for us. Everyone else we contacted about the job wanted to sell. Lydia F.
The crew showed up for work at 6:30 a.m. ready to start. Highly professional in all aspects from the boss to the roofers. Edmund H.
I would hire them again and recommend them to anyone. 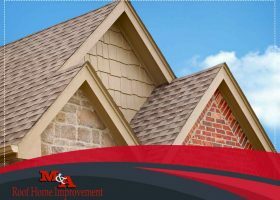 James G.
What are the Equipment and Tools Used by Roof Repair Experts? Copyright © 2019 M&A Exterior Home Improvement. All rights reserved.